Catherine M. Hill is Professor of Anthropology in the Department of Social Sciences, Oxford Brookes University. Her main areas of research are people-wildlife interactions and conservation and local communities. Prior to her current appointment she was a lecturer in Biological Anthropology in the Department of Anthropology, University of Durham (1994-2000) and the Demonstrator in Human Ecology, Institute of Biological Anthropology, Oxford University (1991-1993). Amanda D. Webber is a Lecturer in Conservation Science at Bristol Zoological Society. She is also an Honorary Research Associate at Oxford Brookes University. Her research focuses on human-wildlife interactions and she is interested in people’s perceptions of wildlife (particularly urban or ‘pest’ species) and the development of co-existence strategies. Nancy E. C. Priston is an Honorary Research Associate at Oxford Brookes University. 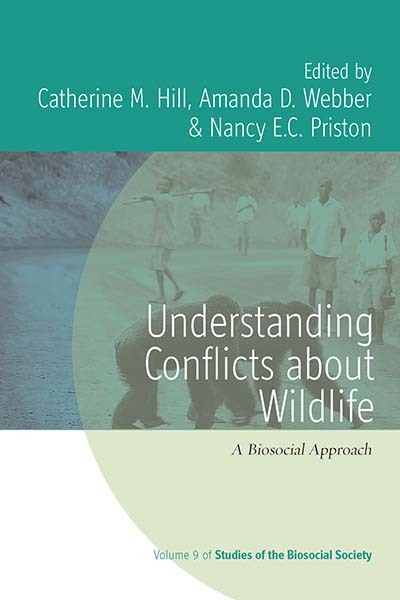 Her research examines human-wildlife conflict with a predominantly interdisciplinary approach, incorporating both the perspectives of wildlife and local people.